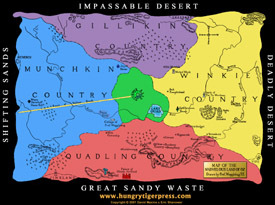 For those of you unfamiliar with the geography of the Land of Oz, a few words may be in order. This Map of the Marvelous Land of Oz was drawn by Professor H. M. Wogglebug, T. E., back in 1914. However, it incorporates much of the known Oz geography up to around 1920. The most curious aspect of this map is the little known fact that East and West are reversed in Oz. 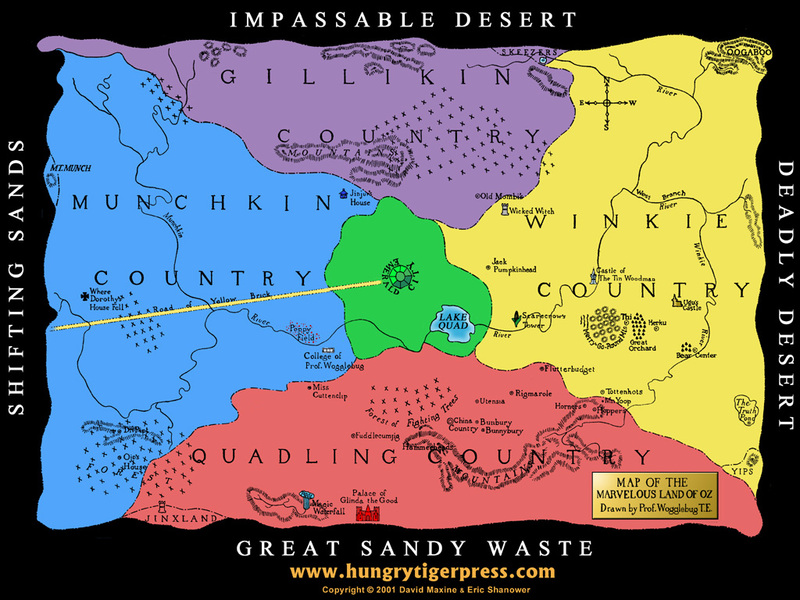 You will notice that the Munchkin Country is in the East, but is also on the left hand side of the map--while the western Winkie Country is on the right hand side. This may seem most curious, but that is the way Oz is. Select a size. Image loads in a new window.